As mentioned in a previous post I have been asked to learn how to do something I have always wanted to do. For my project I have decided to build my own high definition antenna to allow me to receive my local over-the-air broadcast channels without paying the steep prices offered to me by the cable and satellite companies. The reason that I have wanted to do this is that I have tried several store bought antennas and none of them seem to be capable of doing a satisfactory job, and the ones that have worked have been inconsistent at best. Here is the RCA Antenna doing an awesome job of not receiving a signal from Fox 2 Detroit. Glad I shelled out money for such awesome results! Above is a picture of the antenna that I currently have. We are limited to small indoor antennas because we just moved back to Michigan from Salt Lake City, Utah. As such, we are renting an apartment this year that does not afford me the ability to attach a high powered outdoor antenna to the building. This has proven to be one of the biggest issues that I have encountered so far. There are several resources available out there if you wish to build your own outdoor antenna, or if you have a high up attic that you can place your antenna in as shown in this how-to video on YouTube. There is not much out there that talks about homemade indoor antennas. The most valuable resource out there so far has been Lifehacker as they feature several different antenna options, both indoor and outdoor. The biggest problem that I have encountered so far is finding a matching balun transformer at any of our local stores. Radio Shack would have been a great option had they not gone out of business. So far what I have learned from this project is to always trust my instincts and just go to Amazon first. As seen in the quick vine above, aside from having to improvise some parts my first attempt and current setup is a failure. I will need to find a way to strengthen my reception ability. I will retry this week once I have all of the correct parts, hopefully that helps. If not, another possible solution would be to pick up a signal amplifier, which costs around $16 at your local Walmart. As with most in the education field, my life is packed with things to do on a daily basis. I am a full time Spanish Teacher, a football coach (much more goes into this than just showing up for practice 2 hours a day), and a father to an 11 month old little girl who has Down syndrome. As a result of her special needs, this creates various appointments that I need to be at that parents of typical children do not have to go to. As a way to keep my life and workflow organized, I use a few different tools. 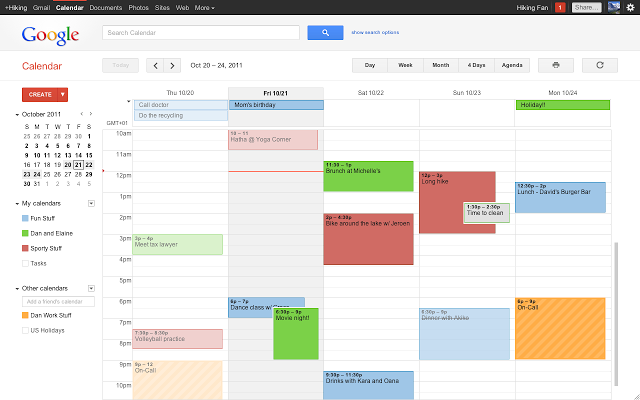 My favorite organization tool that I just recently started using is Google Calendar. What I love about Google Calendar is that it can sync up with my iPhone so that I can add to it that way. You can also combine several calendars into one spot. I have one for home, one that has important deadlines for my graduate courses, one that has important work appointments/deadlines, one for football, and finally one for all of my daughter’s upcoming medical visits and therapy treatments. My favorite feature that Google Calendar offers is that you can share it with other people and they can add events to it as well. Basically my wife knows that if there is something that I need to show up to and she doesn’t put it on the calendar, that she shouldn’t expect me to show up because I’m probably doing something else. It has really streamlined our communication on who needs to be where. These are just a few of the tools that I use to manage my life and to keep the workflow moving. It saves me time in having to think about what tasks need to get done when my tools can tell me what I need to do and where I need to be. 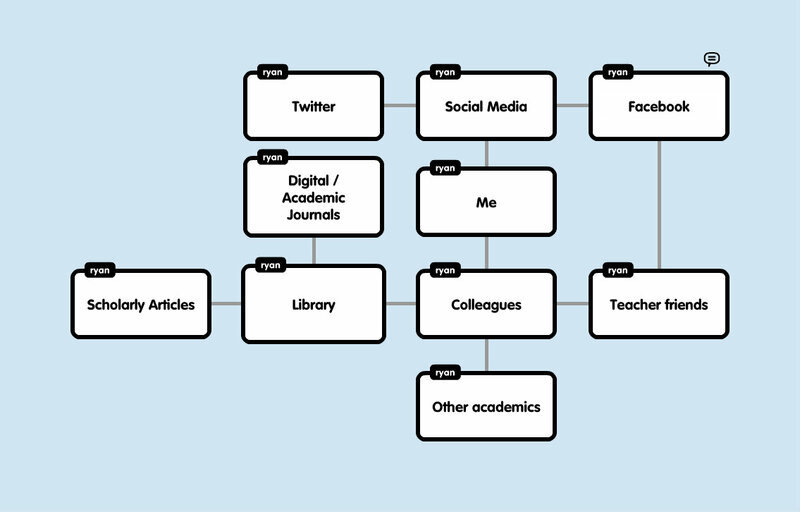 This week in my CEP 810 class at Michigan State University we were asked to create a Popplet that represents the resources that we use when we need information relating to our job. The picture above represents the resources that I use when I am learning what others are doing to help their students acquire a language. At Clarkston High School one of our big pushes is “Cultures of Thinking” and one of the key ideas behind it is making thinking visual through organizers such as mind maps. Poplet is just one way that students can map out their ideas to make their thinking visual. I am really excited to put this tool to use in my classroom. This week in my CEP 810 class I have been asked to learn how to do something that I have always wanted to learn. Being a millennial, many of us have decided to cut the cable cord in order to save money and live within our means. This is problematic for me as an avid sports fan. I do not watch much on TV but I love to watch sporting events, something that is very difficult to do without paying those steep cable/satellite rates. Recently there have been an abundance of options for those of us wishing to cut the cord. We have things like Hulu and Netflix for streaming purposes, and recently Dish Network has launched their Sling TV service for $20 a month that gives subscribers access to things like ESPN, but as a Detroit sports fan there is still much to be desired. Naturally, one could just purchase an over the air antenna, but most of these are not strong enough when working perfectly, and things rarely work perfectly. For this reason I have decided to learn how to build my own over the air antenna in order to receive free local stations. There is a large community of enthusiastic cord cutters along with discussion forums and DIY YouTube videos that I will utilize. You can view one such example here. For my first assignment in CEP 810 I was asked to write an essay that explains what learning is and how novices and experts differ in the process of learning. You can read the entire essay here. Studies have shown that students will gain a deeper understanding of a desired subject if they are engaged in the topic. For example, in a Spanish class if you are discussing something that the students are able to relate to on a personal level they will have an easier time acquiring the language structures that you are teaching. As the students become experts in a certain topic they will have an easier time recognizing certain relevant patterns whereas a novice needs to have various learning opportunities to help them reach a level where they can pick out those patterns.